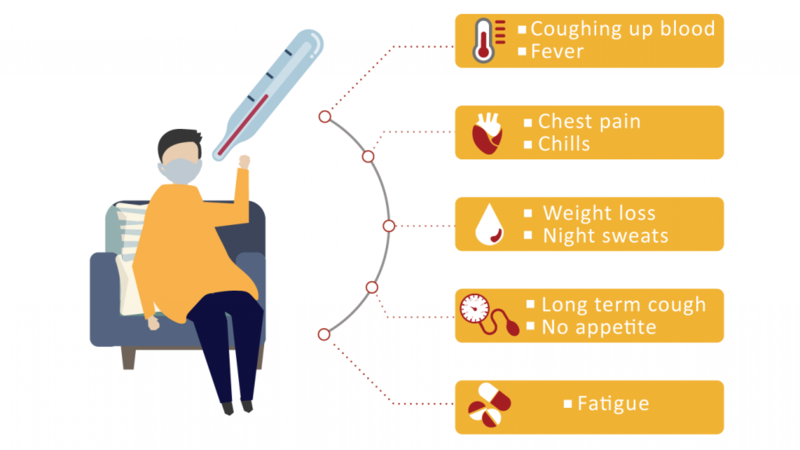 Home » Health » What is TB and how it is treated? What is TB and how it is treated? According to the World Health Organization (WHO) data, Tuberculosis (TB) remains in the top 10 as one of the world’s deadliest infectious killers. Approximately 30,000 become infected daily and nearly 4,500 people lose their life. We, at Abacare through social media are pleased to join the global campaign in raising public awareness about TB. Tuberculosis is a contagious infection caused by bacteria that usually attacks the lungs. The bacteria, which is called Mycobacterium tuberculosis, may spread also to other parts of the body like the brain and spine. The Mycobacterium tuberculosis can spread through the air through coughing, sneezing or spitting. Inhaling only a few of this bacterium can get you infected. A TB patient will undergo a standard of 6 months course treatment of antimicrobial drugs. One-third of the world’s population has Latent Tuberculosis. This is a state where a person has TB bacteria within their body, but it is inactive. The bacteria are kept under control by the immune system and no symptoms are displayed. People with latent TB also cannot transmit the disease. However, there is a possibility that it will develop into an active TB in the future. Active Tuberculosis is when the bacteria multiply in the body resulting in the person experiencing symptoms of the disease. These symptoms may be mild for months and eventually worsen if not treated. Once exposed to the bacteria, 10% of people have an increased lifetime risk of falling ill with TB. Tuberculosis is curable and preventable. The key to stopping the infection of TB is a timely detection and sustained medication. With WHO’s goal in achieving a world free of Tuberculosis by 2030, there are an estimated 54 million lives saved through effective diagnosis and treatment. Every TB patient should have the proper information, supervision, and support while taking the drugs. Tuberculosis is an airborne disease which spreads easily and can infect you and your loved ones. If you are experiencing any of the symptoms, consult your doctor immediately.